Disclosure: Irresistible Me provided me with these hair extensions to review. All opinions are my own. I love long hair. Up until about a month after I got married, right after graduating undergrad, I had hair down to my waist. But let’s be honest. That’s a lot of upkeep. For the majority of the time, I’m much happier with my hair at it’s current length, but every now and then I long for longer hair. I’d toyed with the idea of getting extensions for some time, so when Irresistible Me contacted me and asked if I’d like to review their clip-in hair extensions, I was all for it! I selected the Royal Remy 18″ clip-in hair extensions in 140g in Royal Medium Brown. The Royal Remy is their deluxe line of hair extensions made from human hair and comes in a wide rage of colors. I was worried about getting the wrong shade, but in all honesty, these blend pretty well. 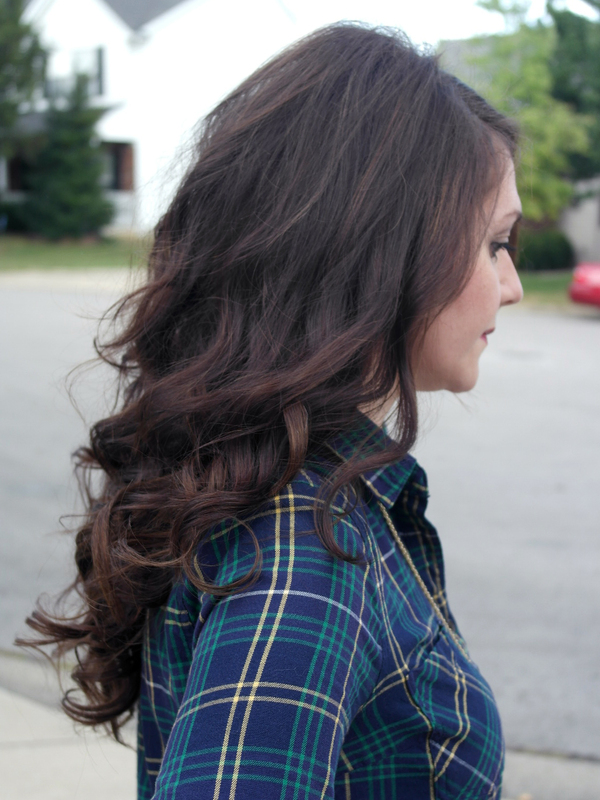 Long story, but I also tried out the 16″ Royal Chocolate Brown extensions and they blended just as well. I think even if you don’t have highlights/lowlights, you can still be slightly off on the shade and it still blend decently, since you place these throughout your hair. My whole set of hair extensions. The lengths start with 14″ and go up to 22″. 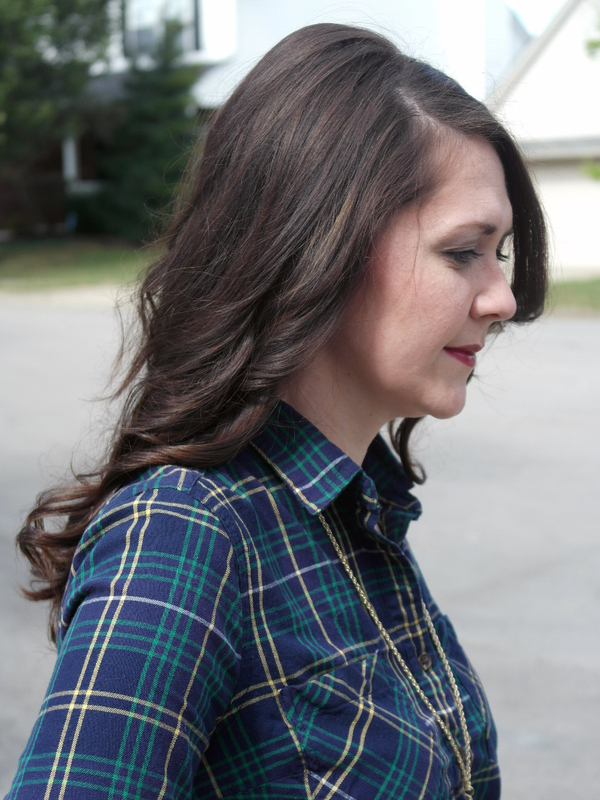 As mentioned above I got the 18″, but the 16″ would work well if I wanted to add volume but not length. 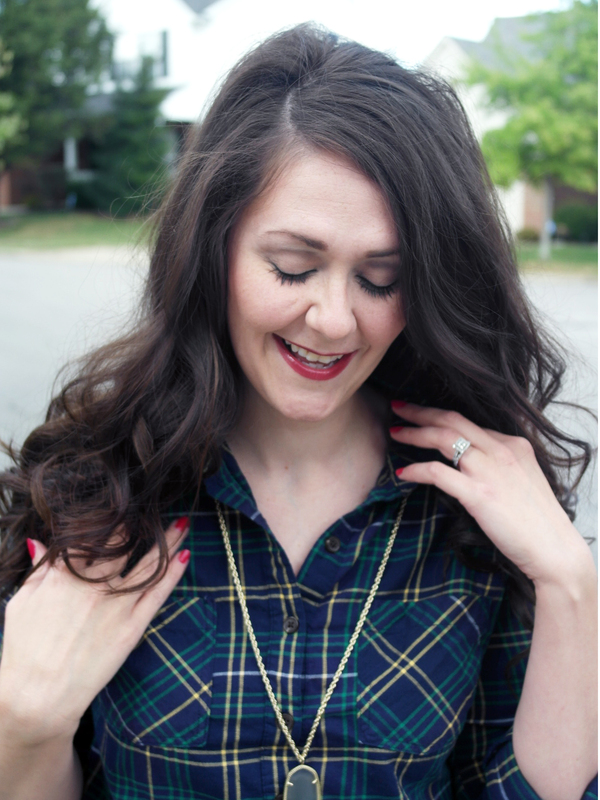 I like the 18″ length because I get the volume + a little extra length, and it blends really well with my hair. 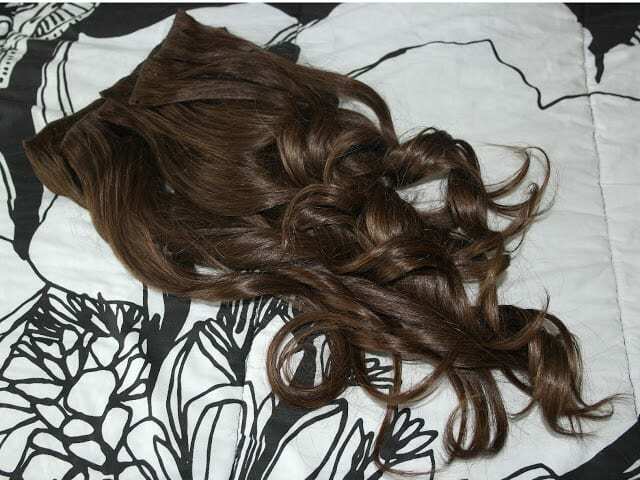 While there are several choices for the weight of the hair, the 18″ extensions are only available in 140g and 200g. I believe the 140g set consists of 8 wefts (sections) of hair and the 200g set consists of 10 wefts. 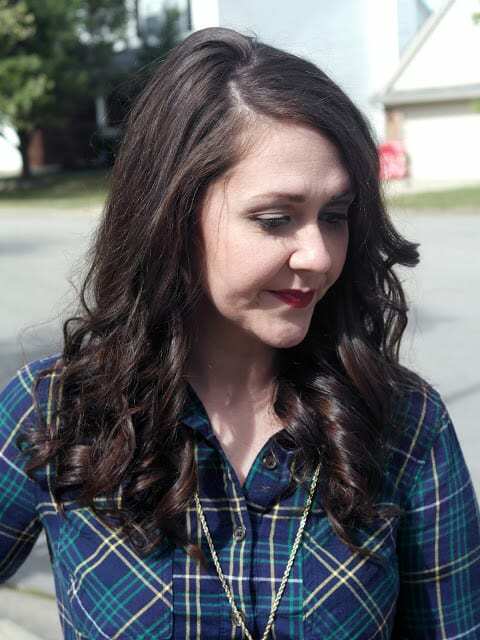 My hair is thick but fine, so I chose the 140g set so as not to overwhelm my head and not pull a ton on my actual hair, as these extensions attach to your real hair by clips. Even with the 8 wefts, my set is a little much for my hair, and I only wear a combination of the wefts. In the pictures below, I’m wearing everything but one 3-clip weft. This is a weft. My set came with one 4-clip weft, three 3-clip wefts, two 2-clip wefts, and two 1-clip wefts. So how do they wear??? 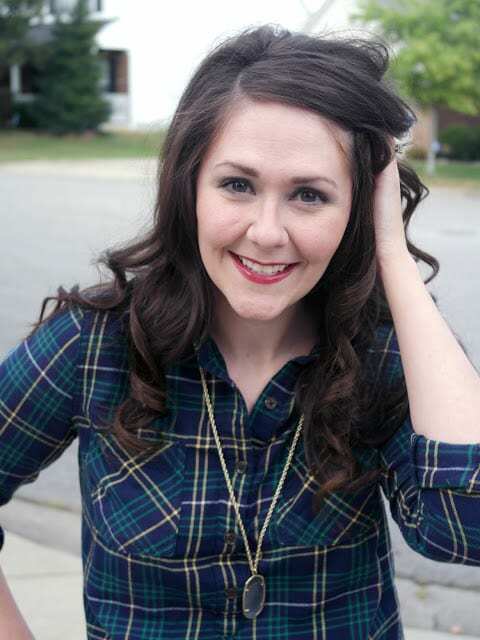 For further views, I am wearing the shorter, darker extensions here and the same extensions in this post here. 1. 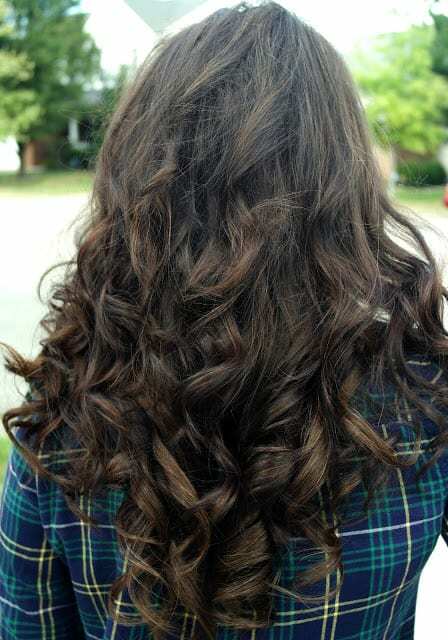 I know a lot of people tend to curl their hair with their extensions in. My hair is naturally wavy and holds curl well, so I tend to set the heat on my curling iron to somewhere between 350-380 degrees. 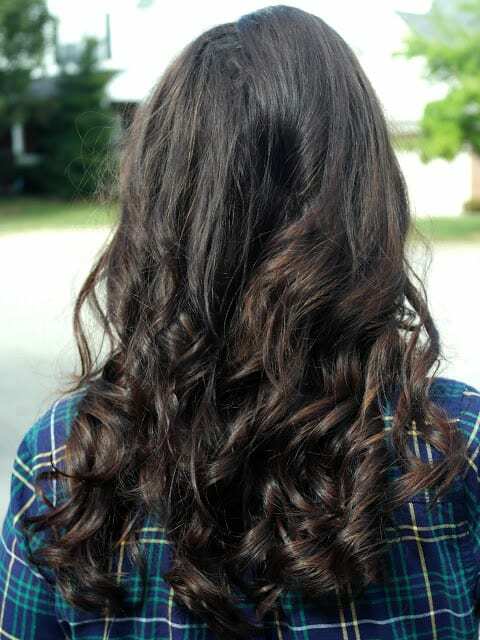 I found these extensions take a little more heat to get a good, lasting curl–somewhere around 400-425 degrees. 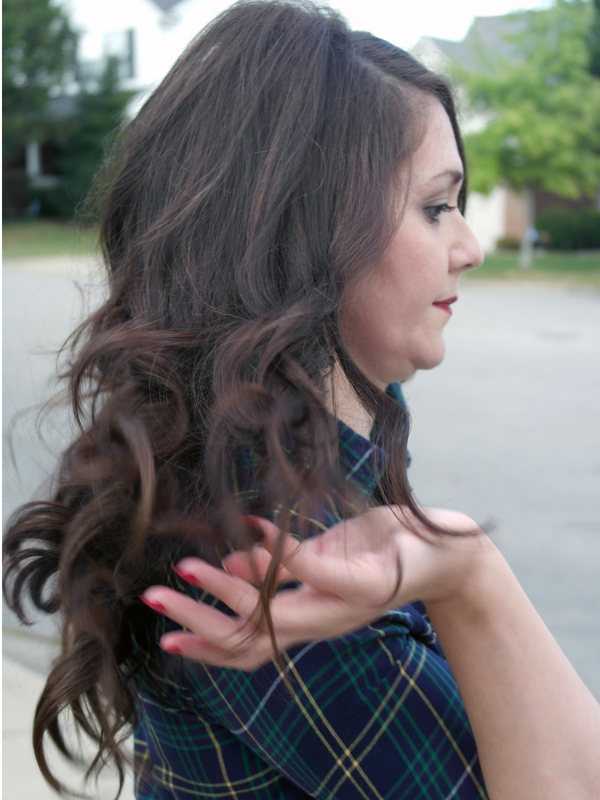 So as not to damage my natural hair by applying too much heat, I curl my extensions before putting them in my hair. I use a 1″ Helen of Troy curling iron. 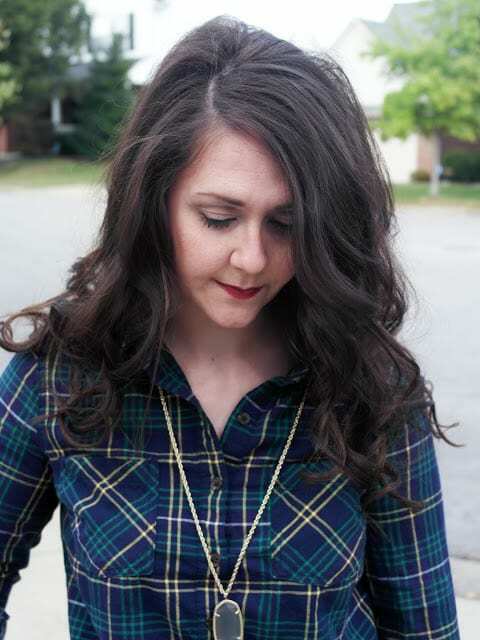 I’ve had it for years and it’s hands-down my favorite curling tool. 2. These extensions are made from human hair, so it’s important to treat them with the same respect you show your real hair. 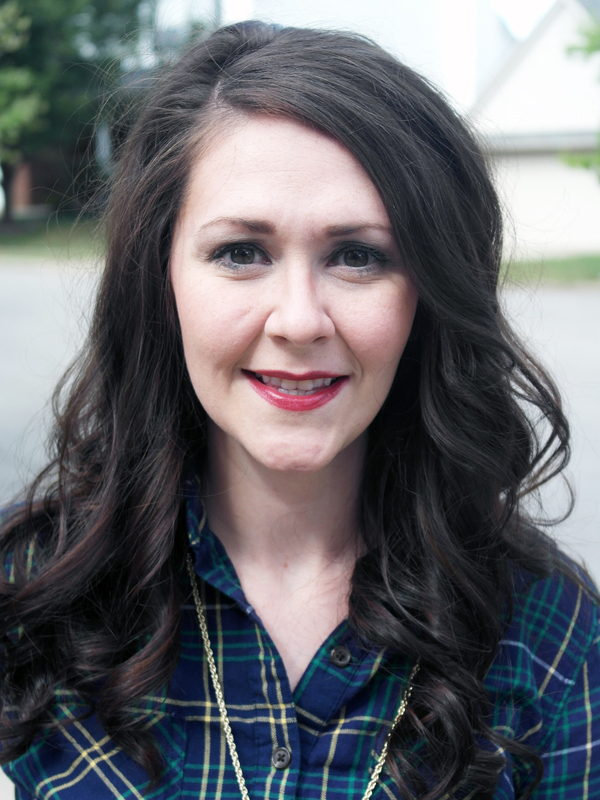 This means you should use a heat protectant when curling or straightening the hair. You should also handle with care and brush/comb carefully. 3. Do NOT sleep with your extensions in (or otherwise wallow in them). My hair stylist stressed this point to me. 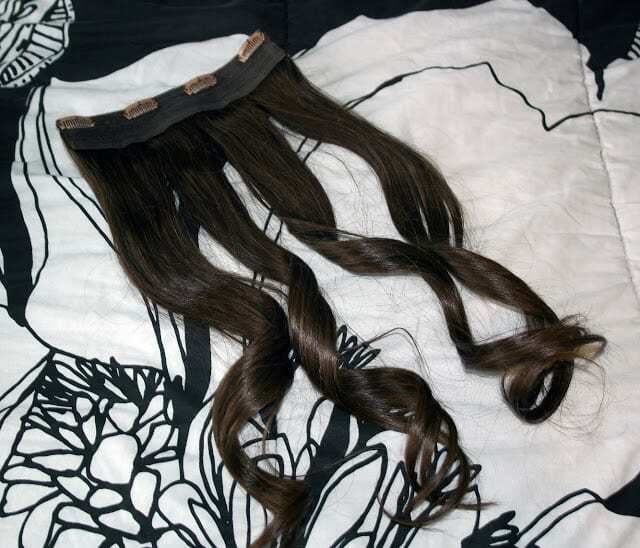 When you sleep in your extensions, they tug on your hair, which in turn tugs on the scalp. She cautioned me that I’d end of with bald spots if I did this. 4. I like to tease my hair at the roots before I put these in to give the clips a little more staying power. I also tease my hair on top after I’m done to help cover up the top layer of extensions. 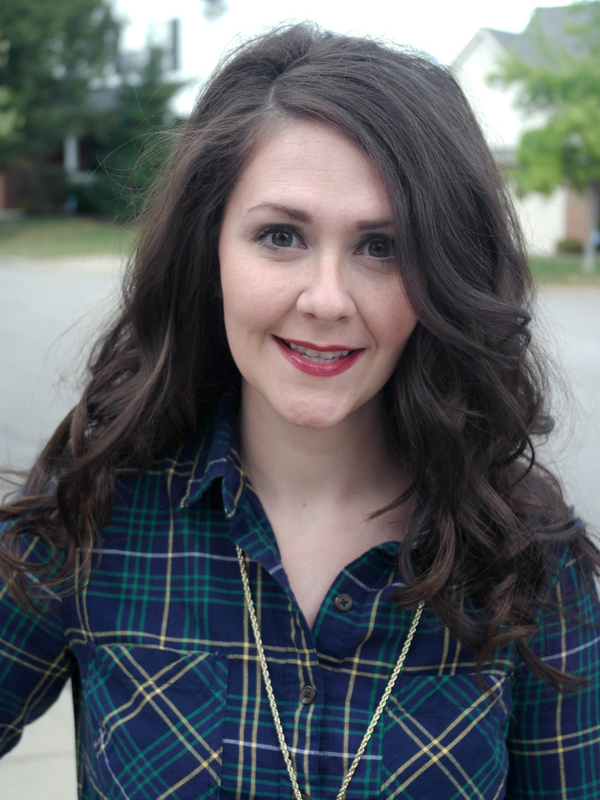 I highly recommend Irresistible Me hair extensions if you’re considering a foray into hair extensions. I like that these are quick to clip in and quick to take out. I also like that they’re a non-permanent solution. They have tons of options on their website, and different price points depending on your budget. You can also enjoy 20% off your first order when you use GET20OFF!! !